New film exposes a decades-long corporate scandal surrounding a toxic Teflon chemical—and the power of a few determined people to change the world. In making our most recent film, The Devil We Know, we thought we understood the pervasive and insidious role that toxic chemicals play in our collective lives. After all, this professional and personal journey had started for us nearly a decade earlier with Stephanie's first feature documentary, Tapped, about the bottled water industry. At that time, the health risks from bisphenol-A—a chemical widely used in plastics, receipt paper and canned food linings—were just coming to light, and momentum was growing for manufacturers, especially those of baby bottles and sippy cups, to stop using the chemical. As consumers, it was infuriating to learn it wasn't just BPA: there are tens of thousands of industrial chemicals approved for use in the U.S. with little or no independent testing for their effects on human health or the environment. In other words, Americans absolutely cannot assume products marketed and sold to them are safe. But it wasn't until The Devil We Know that we realized the disturbing depths to which the chemical industry will stoop to protect the bottom line and the lengths to which citizens have to go to for environmental justice. The film profiles the community surrounding Parkersburg, West Virginia, home to DuPont's Washington Works factory, where one of the company's most profitable products – Teflon – has been manufactured for decades. Parkersburg, situated in the rural south's Chemical Valley, is a working class town that has relied heavily on DuPont jobs and the benevolence of the corporation's deep pockets. When a handful of Parkersburg residents, led by a cattle farmer and a gym teacher, took on DuPont, they were vilified by their neighbors. But it was their persistence, and that of a Cincinnati-based attorney named Rob Bilott, that brought the cold, hard facts to light. For decades, the community was unsuspecting as PFOA, a synthetic chemical compound used as a processing aid in the manufacture of Teflon, was making its way into the drinking water supply of tens of thousands of residents who lived near the plant. One of the chemicals in the dreaded PFAS class, PFOA exposure (even at very low levels) has since been linked to certain diseases, including testicular and kidney cancers. Not long ago, the Centers for Disease Control said the chemical is now so prevalent, it can be found in the blood of 99.7 percent of Americans, and babies are born pre-polluted. This is the same chemical at the heart of a federal health study that the Trump administration tried to bury out of concern that it would cause a "public relations nightmare." But the whitewash surrounding this chemical started many, many years earlier. Internal documents that emerged during the Parkersburg litigation show the company, decades ago, was sending workers out to collect water samples from local businesses and their own homes to determine how far the contamination had spread. In 1984, DuPont held a meeting at its corporate headquarters in Delaware. The minutes from that meeting confirm executives were well aware - but did not disclose to the community - that PFOA was in the drinking water. Further, the document also makes clear that PFOA emissions into the air and Ohio River were increasing, yet the company had no plans to do anything about it. We know from a former DuPont chemical engineer interviewed for the film, who was with the company for more than 20 years, that the technology existed to make Teflon without PFOA, but revamping the infrastructure necessary to accommodate a new, safer chemical would have been too costly to justify the switch. The story we tell in The Devil We Know has all the makings of a Hollywood thriller: a cover-up spanning decades, a quintessential David and Goliath pitting deceitful and callous executives against regular folks, a protracted and bitter legal battle, and government apathy that borders on conspiracy. It's a harrowing and outrageous tale, but it's also incredibly inspiring because it shows, against all odds, the power of a few determined people to change the world. 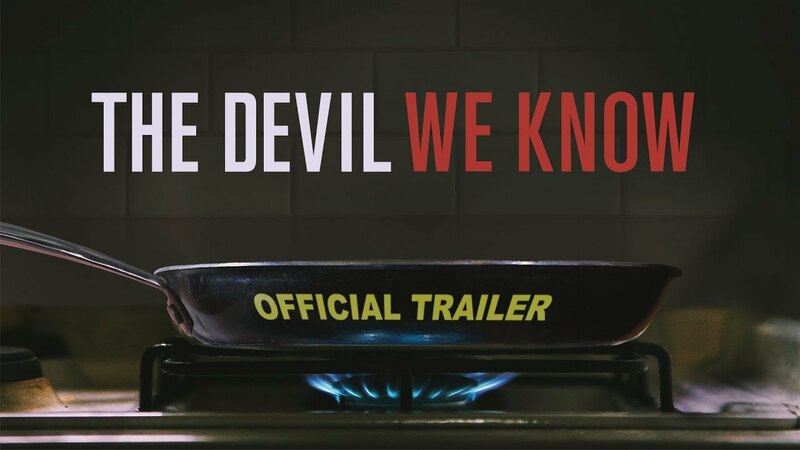 THE DEVIL WE KNOW is now available on iTunes, Amazon, and Google Play. Please visit the film website to sign up for the Chemical Detox Challenge for tips to reducing your exposure to toxic chemicals, or to host a screening of the film.